We talk a lot on this blog about how to get new patients, but it’s important not to forget your existing patients. After all, better retention leads to more referrals and referral patients are often the best new patients. One of the simplest, most effective ways to boost retention is by emailing your patient list. And the holiday season is a great time to do that. 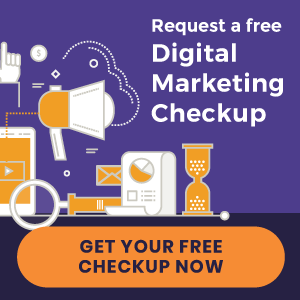 When you think of chiropractic marketing, you probably think of your website, online advertising, social media, and, of course, email marketing. 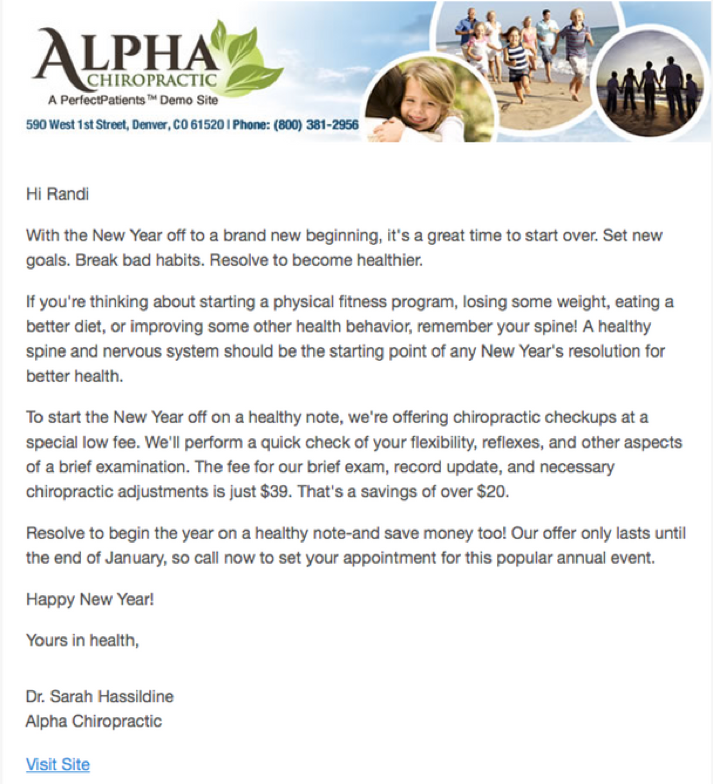 But a successful chiropractic email marketing regime actually consists of some emails that don’t feel like marketing at all. 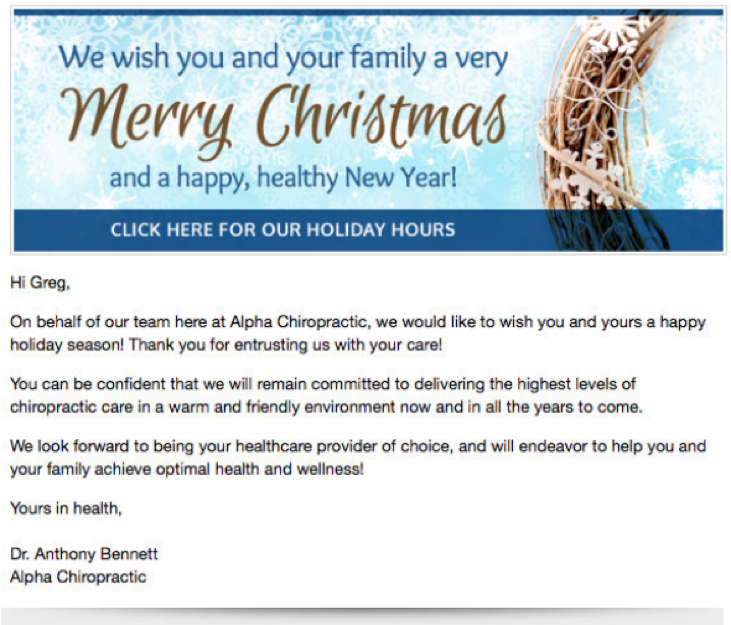 Rather, thoughtful emails, such as a simple “Happy Holidays” sent this time of year, shows your patients you care while gently reminding them to schedule their next appointment. It’s a great way to alert your patients of your holiday hours and encourage them to take care of themselves amidst the holiday craziness. There are two times per year that most people think about their health: their birthday and New Year’s (hence the over-crowded gyms in January). Use this to your advantage. Reactivate your inactive patients by sending them an email at the start of the New Year encouraging them to focus on their health and wellbeing, and alerting them of any promotions you may be running. Since we’re talking about New Year’s resolutions, why don’t you make your own resolution to give email marketing a shot in 2018. To help you create your email marketing plan, download our eBook “The Chiropractor’s Guide to Email Marketing” today. Tired of navigating between your website, your patient database, and your third-party email platform? As a Perfect Patients client, you have access to an email console that allows you to send custom marketing emails to your patients right from your Perfect Patients website! Your console contains a library of email templates, a “tagging” feature that enables you to segment your patients into custom lists, and you can even schedule your emails to be sent at a future date and time so you can plan out your email marketing in advance. Click here to learn more about the Perfect Patients email console or give us a call today to discuss how we can help you integrate your practice website and other marketing initiatives with the Perfect Patients service plan that’s right for you. « Introducing New Chiropractic Websites for Integrative Chiropractic and more!